Product #21814 | SKU NAC3MPB-1 | 0.0 (no ratings yet) Thanks for your rating! 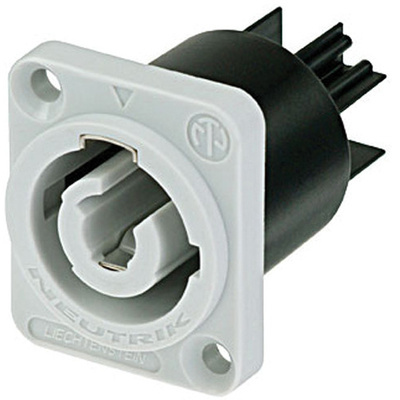 The Neutrik NAC3MPB-1 Power-Out Male Chassis Connector features a powerCON locking 3-conductor equipment AC connector with contacts for line, neutral, and pre-mating ground contact. It replaces appliance couplers wherever a very rugged solution in combination with a locking device is needed in order to ensure a safe power connection. Note: The PowerCon is a connector without a breaking capacity and should not be connected or disconnected under load or live.